Well, it seems the late season intersectional peonies were dominated by yellow this year. 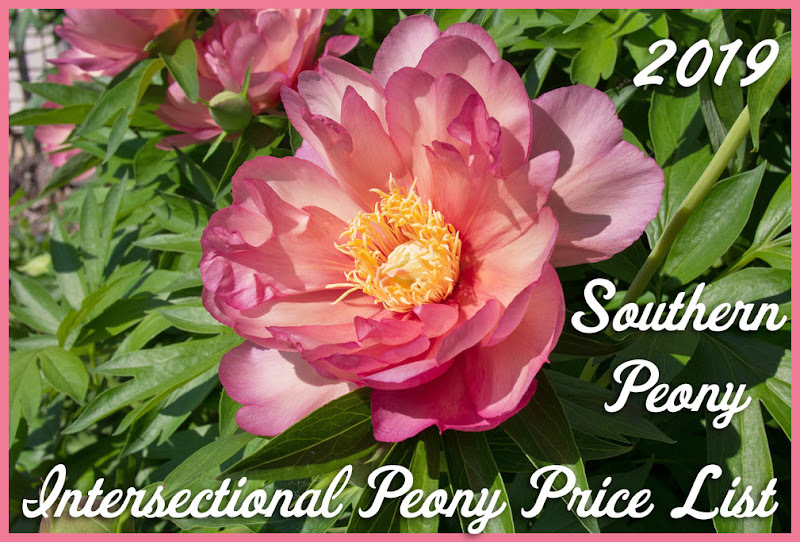 Peony 'Cora Louise' was the only non-yellow intersectional peony blooming this week, and those lovely pink purple flares in the center of her blossom really stood out. 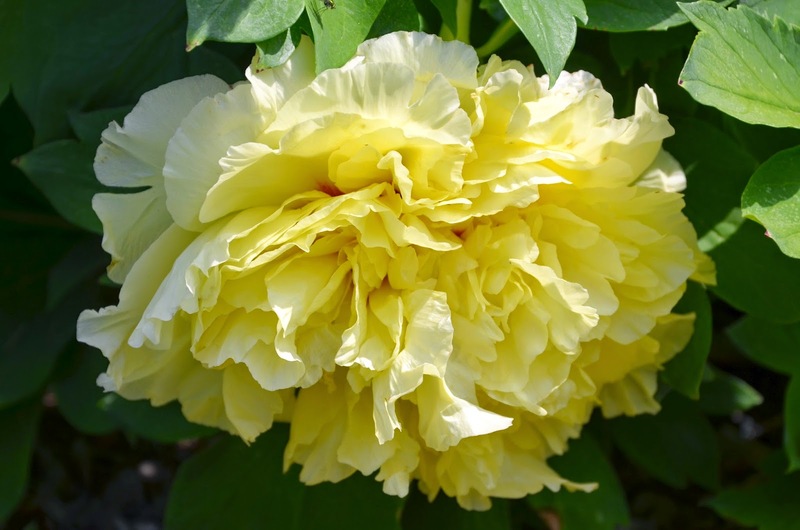 Yes, that photo of Peony 'Yellow Crown' that looks like it is upside down is really not. That's how most of the flowers bloom. 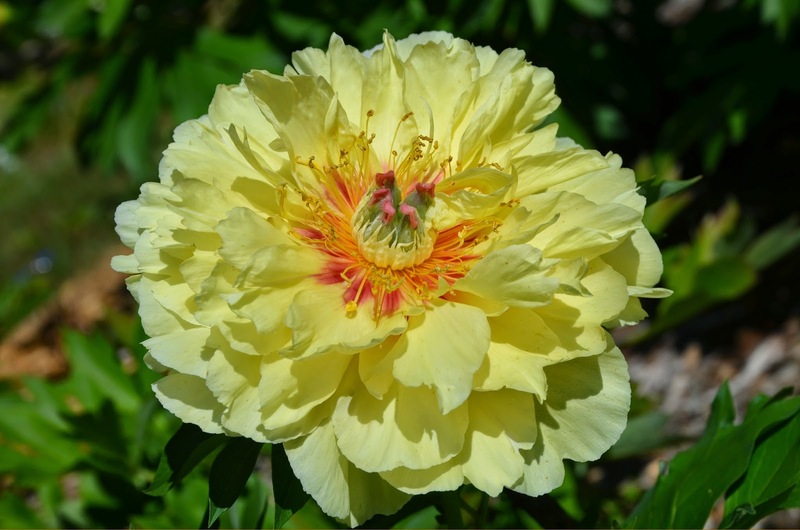 The blossoms on Peony 'Yellow Crown' are just so loaded with petals that the heavy bloom is just too much for the stems to bear! Peony 'Garden Treasure' is actually a bit floppy too. 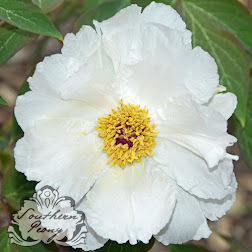 However I was still able to get a few good pictures of its blooms. 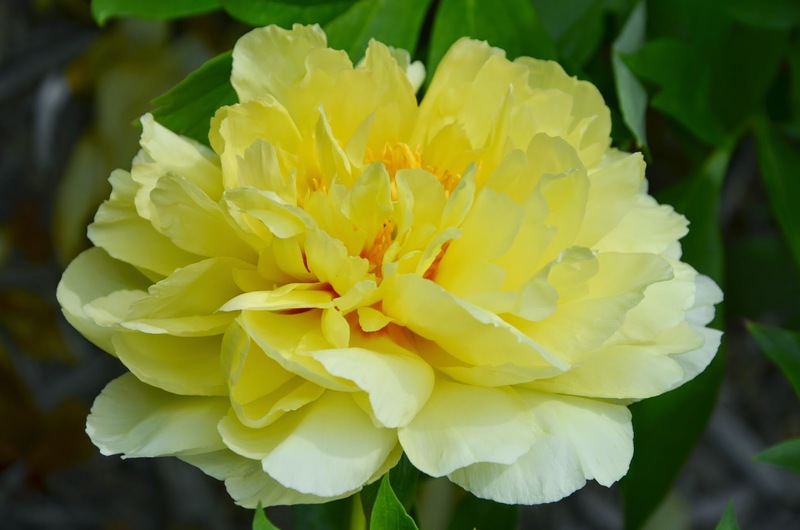 Peony 'Bartzella' is definitely the most upward facing full petalled yellow intersectional in my garden. What a beauty!